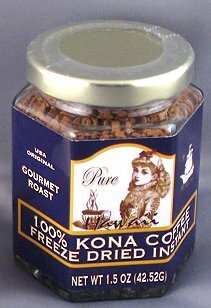 Instant Kona coffee by Mulvadi is one of the most unique local products that will simplify your morning routine while adding a delectable flavor of unforgettable island taste to your coffee cup. Mulvadi 100% Kona whole bean coffee is also available. Please inquire.